Are You Doing Japanese SEO right? SEO, also known as Search Engine Optimization, is the marketing process of sprucing up your web presence in order to gain visibility with those individuals unaware of your services. We often call these individuals “Organic Traffic” and they’re one of the most lucrative types of audiences you can attract to your site. Companies that use SEO in Japan and across the globe enjoy a powerful and direct sales channel to their customers via search engine results. Organic search leads have a 14.6% close rate, compared to 1.7% for outbound marketing leads. Basic wording and use of language in Japanese is different than in other languages. Sentence structures, nuance of words, and common expressions are unique to the market. Therefore your current keyword lists may be slightly off track when converted to Japanese. Which is why direct translations of websites often miss the mark. By utilizing Japanese language speakers and marketing specialists, alongside a thorough and ambitious search rank strategy, you’re better able to spike your organic traffic and search rankings. Various underlying aspects of Japanese culture heavily influence the way your users perceive and understand the content of your website. Therefore, your SEO strategy must communicate through a Japanese perspective. 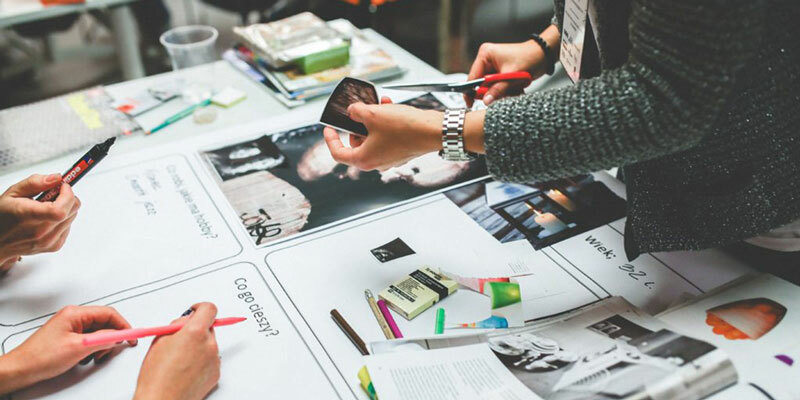 Collaborating with native Japanese creatives and strategists will best develop an ongoing SEO approach that provides consistent and positive results. 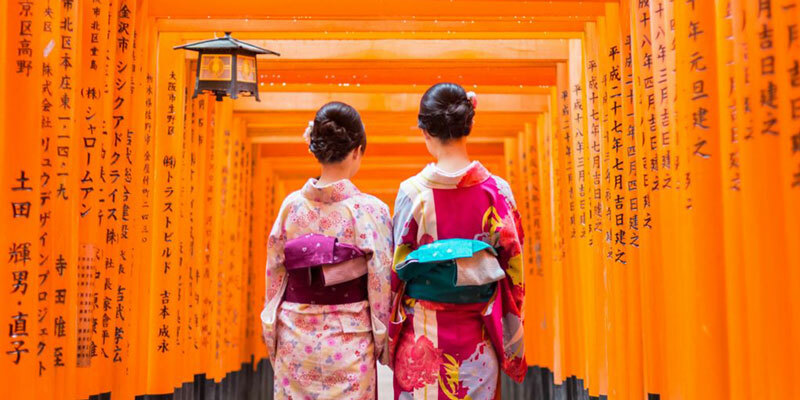 Our Japanese SEO experts compile our diverse range of specialties and intuitive experiences to help you overcome Japan’s many language and cultural complexities. Conveniently located in Tokyo, we’re constantly exposed to the city’s fast-pace changes and advancements. Together, we’ll get you ahead of the game and successfully launch your brand’s presence here in the market. Let’s talk about your plan for Japan! Increase your website’s organic traffic within the Japanese market. Increase your website rankings on both Yahoo! Japan and Google. Increase your Japanese traffic through referrals and external links from reliable and credible sources. STEP 1: Establish a solid strategy that will earn you an advanced position in the Japanese market. We evaluate where you company falls amongst your Japanese and non-Japanese competitors in both digital search and overall digital marketing presence. We evaluate the strengths and weaknesses of your company and your competitors in order to find open opportunities for you to take advantage of. We brainstorm, research, and test thousands of keywords in Japanese. From there, we divide the most popular search keywords into multiple SEO categories. Some examples of categories include general keywords, directly-relevant keywords, interest based keywords, and location-based keywords. We can build categorized lists that will be used to create a content strategy for your website that’s solely driven by active search terms with high relevancy and traffic. The general category lists will serve as your “core umbrella” SEO strategy and these keywords should be proliferated generously throughout the code and content levels of your site. Interest based category lists will provide opportunities to introduce your brand to unaware Japanese individuals clearly interested in your offerings. Lastly, location-based lists will ensure coverage for potential consumers based on their locality. After finalizing your most popular keywords and category lists, we’ll then formulate a fully optimized content strategy that best delivers valuable and influential information. The overall goal, of course, is improving your search ranking. We’ll further implement our tested most-popular keywords into things like meta titles, meta descriptions, alt tags, and more. We can also provide audits and consultation on how your team can fix these items if you prefer a less hands-on approach (from our end). Enhance your Japanese user experience with SEO content that effectively highlights our previously explored keywords. After heavy analysis, we’ll re-strategize your website’s existing page content and develop a shortlist of core priority pages. 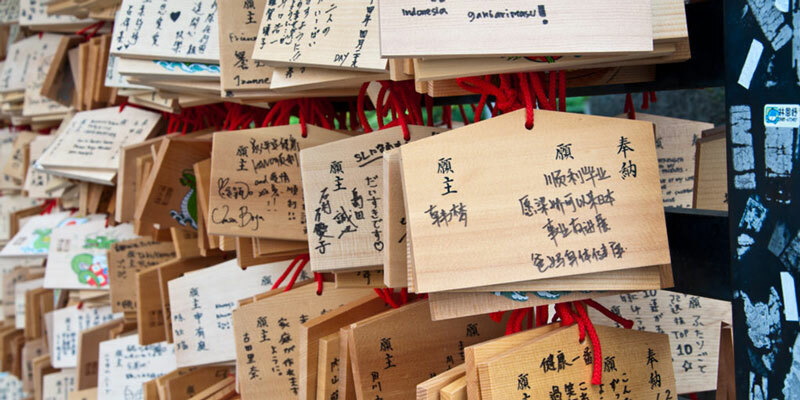 Prioritizing pages is essential to increasing your Japanese search presence. 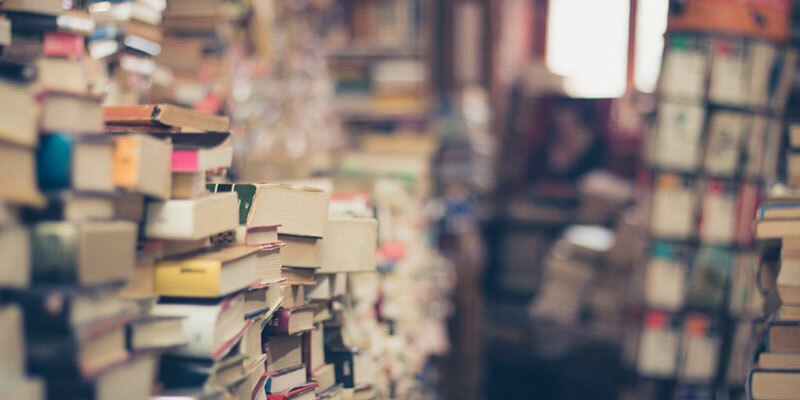 We’ll first focus on the existing text and information content found on your site, including Japanese translation of existing English content (this will include paragraphs, descriptions, headlines/titles, and more). After reviewing your content’s current state, we’ll then perform deeper research to find new ways to expand it. Optimizing and adding content will further increase your site’s exposure to your target Japanese market. We analyze the backlinks of your competition to discover sites and services that are actively involved in your specific sector in Japan. We use our analysis to expand and reach out to other parties who are worth pursuing. Backlinks are obtained by either requesting a backlink or earning one by providing their site with valuable curated content. We will reach out to influencers, bloggers, and non-competitor websites who write content that aligns with your Japanese consumer interests. Outreach involves asking them to feature links to similar existing and/or created content from your own website. Having links on popular blogs and websites will increase your visibility and chances that readers of those blogs or websites will click and share your link. This ensures long term SEO performance in the form of 3rd party references. We provide you with forward thinking initiatives to maintain your company’s digital presence inside and outside of Japan. This will keep your website ahead of the curve in the ever-changing world of SEO. Taking these steps will ensure your company continually performs well in search results. One of the strongest forms of external content are the reviews and testimonials from your customers themselves. We will propose website content and copy that encourage your readers to leave comments; therefore, enhancing the overall credibility and reliability of your website. Our standard reporting will include data such as tracked keywords, as well as overall information about your niche in Japan from an SEO perspective. We’ll also include actionable feedback on the next steps your company should take in order to stay ahead of competition and maintain your search rankings here in Japan. Below is a checklist of some of the most important factors to consider when creating a Japanese SEO plan. ✔ You have brainstormed and researched a substantial amount of keywords in Japanese. More often than not, we find ourselves researching and analyzing literally thousands of keywords per strategy. Being thorough is essential to discovering the right opportunities and developing a strategy that’s long-lasting and duly diligent. ✔ You have more than 3-5 content or topic categories that are relevant yet not identical to your main one. Our Japanese SEO team often proposes over 10 category lists per strategy. We use these lists to fully optimize for the most relevant and active keywords–creating valuable content that engages a wide array of interested readers. ✔ You utilize creative native Japanese staff to expand your keyword and category research. Our team of native Japanese creatives and non-Japanese strategists collectively develop an all-inclusive and highly localized SEO strategy that reaches the correct and most-lucrative Japanese consumers. ✔ You regularly optimize your on-site (content), off-site strategy, and technical levels of SEO to adapt to the changing competitive environment in the Japanese market. We analyze and forecast any changes within the Japanese market that will affect your search performance. In response to your SEO’s current and predicted results, we do quick adjustments that will keep you ahead of your competition. Even the best content can struggle to rank if it's not put on a website made for SEO. All websites need a solid foundation of technical SEO components in order to improve their search engine “crawling” or “indexing”. Many companies come to us with beautiful websites and great content; however, most of them overlook the underlying details that are essential to fully optimizing their websites and digital presence in the Japanese market. Search engine algorithms are constantly changing every day. In order to keep up, you must have a strong understanding of technical SEO and a strategy that will keep you in the top search results in Japan. Search engine algorithms like those of Yahoo! Japan, Google, Rakuten, and Amazon are constantly changing every day. In order to keep up, you must have a strong understanding of technical SEO and a strategy that will keep you in the top search results in Japan. 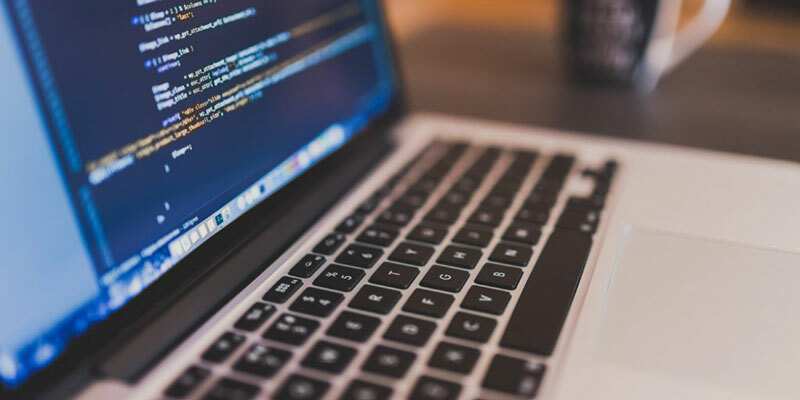 Website loading speed, mobile compatibility, and duplicate content are just three of many technical SEO components we help companies improve on. All of which are crucial for your company to gain favorable attention from your Japanese consumers. Speed is the very first thing your users will notice when they click on your company’s link. The faster your website delivers, the better impression your potential consumers have of you and your company. According to a CMS Report, “average smartphone conversion rates are up 64% compared to the average desktop conversion rates”. Especially in this day and age, companies must have mobile-friendly websites in order to heighten organic traffic and conversion rates both in Japan and any other region. Having identical sections of content is both impractical for your users and your SEO. Your Japanese users want to read fresh and organic content. Leading them to text they’ve already read (especially text they can’t comprehend) minimizes your user’s experience as well as your online reputation. Once you have a solid foundation of technical SEO, you’re one step closer towards successfully communicating your content to your potential Japanese consumers. Keywords are essential for being found in search results, but too many keywords will sound unnatural and could be harmful for SEO. Yes, there is such a thing as too much SEO or “keyword stuffing”. Many companies are so focused on trying to outsmart search engines that they slowly forget about their users’ experiences. This often happens when websites have an excessive amount of one keyword on a particular page. Using synonymous words and focusing on longer keywords (long-tail) can help you to avoid this problem. Long-tailed keywords are longer, more specific keywords that consumers often use when they have a definite need in mind. For example, you may have found our SEO Page by searching for “SEO in Japan” or “Japanese SEO” (two of our primary keywords). Or maybe you came across our page with a more specific search: “SEO Services in Tokyo, Japan” or “Tokyo SEO Companies”. These are two examples of relevant long-tailed keywords that can still add value to your search results without sounding so redundant. Synonymous words not only embellish and enhance your content, but boost your search engine results as well. People think synonyms hurt their search engine rankings when in reality, search engines pride and reward those who effectively use them within their content. It won’t hurt to add a little diversity to your content, you can still deliver the same message in different ways! In all, don’t fall into the trap of focusing on just pleasing the search engines. If you provide your readers with a great overall experience and communicate valuable and rich content, your SEO performance will naturally fall into place. More on-page content is better to Japanese readers, who prefer a high-context user experience. How you choose to communicate with potential Japanese consumers through your website is essential towards increasing your brand’s awareness and also heightening your conversion rates. Many companies make the mistake of not providing their Japanese consumers with enough content and context on their websites. When selling your product or service to any Japanese audience, minimalism is never a good thing. Many of us (from a Western or European background) pride clear and concise mission statements and marketing messages. But here in Japan, people dedicate a lot of attention to detail. They appreciate comprehensive information that is significant to their personal values and needs. So, to get attention and successfully communicate with your Japanese audience, you must expand on your website’s content. Therefore, providing potential consumers with enough context on your product or service. Although Google is the most prominent worldwide search engine, there is still a good chunk of Yahoo! Japan users that your company could be missing out on. Since 2016, Yahoo! Japan has commanded around 31% of the Japanese search market. Although their search algorithm is the same as Google’s, Yahoo! Japan still differs in many ways. For example, they both have different affiliate services, crawl times, and varying search results (for the same search). Yahoo! Japan also has a much higher advantage in Japanese cultural knowledge than Google does. Simply looking at the layout of Yahoo! 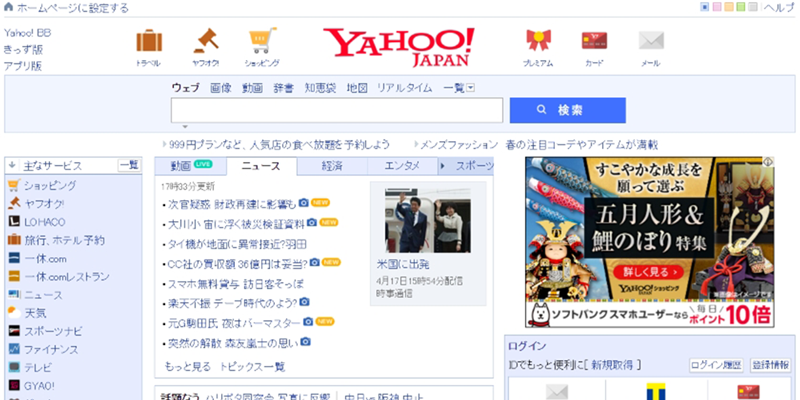 Japan’s home page and even choice in color (red) communicate with Japanese users on a deeper cultural level; speaking to their underlying values and intellect. Yahoo! Japan cooperates with a number of affiliate services that Google doesn’t. Some examples include Yahoo! News, Shopping, Chiebukuro (Q&A), Maps, and Loco. Altogether, they provide Japanese users with a more holistic search experience — giving quick access to the most relatable and popular search content from a variety of different sources. Yahoo! Japan also has a huge advantage due to their partnership with Naver Matome. With Naver Matome, users also have access to a condensed compilation of data and information from different media just after making a single search. Instead of having to browse through multiple different articles, Naver Matome organizes a compilation of key sentences, quotes, videos, and other references (all from different sources) that enable users to easily skim through all at once. Google and Yahoo! Japan’s different search results reflect upon each of their unique affiliate services and crawl times. These are just some key discrepancies to consider when optimizing your website for both of these search engines. Although Google has greater authority in Japan, it’s important to not forget about your other potential consumers using Yahoo! Japan. In order to significantly increase your visibility and organic traffic in Japan, you must do SEO for both search engines. Let’s Talk About Your Japanese SEO Project!